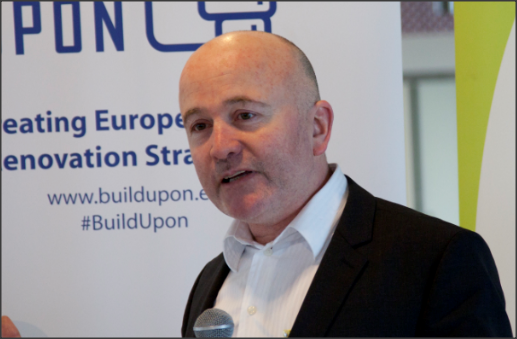 Pat is CEO of the Irish Green Building Council which he co-founded in 2010. He is an Architect with over 20 years of experience in Ireland, Europe and South America, a Masters in Environmental design of buildings from University of Cardiff and is a qualified Passive House and DGNB consultant. Talk title- Home Performance Index, Ireland’s first national certification system for quality and sustainable residential development. Considering the projected growth in the residential construction market, how can we enable public and private procurers to develop better homes? One way is to certify new homes with the Home Performance Index quality mark. From design to build, the Home Performance Index represents a first in Irish certification for residential development. For buyers and developers the HPI is a trusted seal of quality and sustainability. IGBC’s CEO Pat Barry will speak about the benefits of the Home Performance Index to home buyers, builders, local authorities, architects, FDI clients and financial institutions.